Could you be a winner in our Summer Raffle? Tickets cost just £1.00 each and will fund the continuation of our care across Dorset. 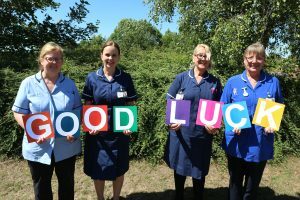 The closing date for postal entries is Friday 7th September and the draw date is Saturday 8th September at the Weldmar Hospicecare Summer Fete at Joseph Weld Hospice in Dorchester. Order your raffle tickets today! Are you eligible to order our raffle tickets? No one under the age of 18 years may purchase or sell our raffle tickets. You must also be a UK resident to enter our raffle. Our raffle books contain 10 tickets per book, each ticket is £1.00. Are you happy for us to contact you via email?